The Truth No Chauvinist Wants 당신 To Know (Too Late, BTW). 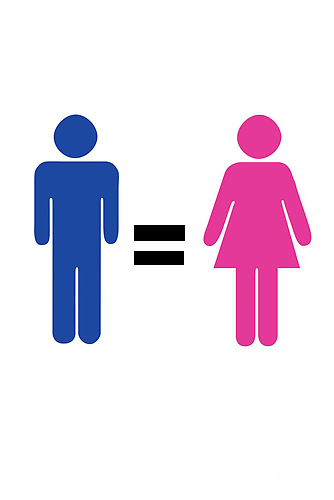 At first, it was "men are better than women", using the ">" symbol, but then I decided to change it so it would depict the truth. Share this so it'll become viral! (even this description.). Wallpaper and background images in the Feminism club tagged: feminist feminism men women sexist ads logo cartoon. I've never been a fan of this imagery. In math, that symbol means "the same"" I.e. 3+2=5, 3+2 is the same as five. Men and women are not the same. They're different, but equal.